Think of today- you woke up, checked your phone, right? Don’t worry, I think we all can agree that everyone spends most of their day on their phone. Either for texting your boss that you’ll be late with those reports or to post that all so desired selfie, the average adult spends about 2 hours and 51 minutes on their smartphone every day. The problem with this? From the year 2000 to 2013, our species attention span is less than a goldfish. In 2000, a study showed that our attention span lasted nearly 12 seconds. In 2013, the peak of developing technology, we dropped down to 8 seconds. A goldfish’s attention span lasts 9. 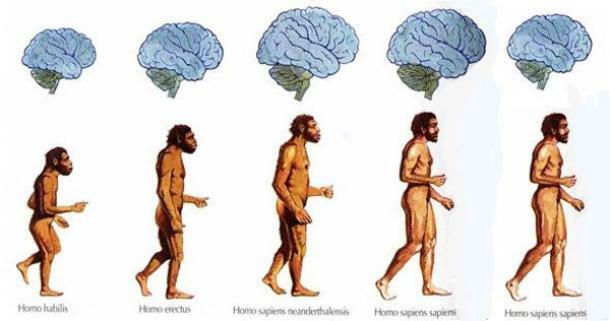 John Hawks, an anthropologist at the University of Wisconsin openly expresses his concern for our brain size, which has noticeably shrunk. But what does that have to do with our phones? A new theory suggests that our brains are evolving at a rapid rate- to be just like our iPads and smartphones do. When you search a new recipe on your phone, you get results immediately. When you send a text, it’s delivered at a rapid rate. This theory proposes that our brains are doing the same. Let’s travel back in time for a second. It’s April 11th, 1976 and the first programmable computer has been released. Now, because it is the first of its kind, the computer is bulky, heavy, with barely any storage and minimal functions. Nearly four decades later, and computers today are small, lightweight, and includes complex programming that makes it easy to find anything. This is like our brain. Because we are so used to receiving information in the click of a button and multitask between a conversation and google search, we are accustomed to the idea of a fast working outlet. Our brains are programming themselves to think like our technology does. How much time in 2017 do people spend on their phone? Quite a bit. A study recently showed that we spend over 4 hours daily spending time in front of a screen. That’s nearly 1/6 of our day. As long as mobile phones are the most highly functional, practical devices we rely on, our brains continue to shrink, just like the newest smartphone.